Tuesday, November 20th, 2018 at 11:10am. 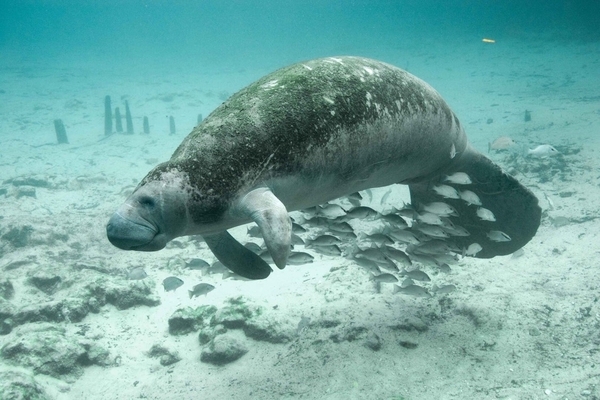 It’s officially manatee season! From November 15th until March 31st, manatees begin moving south for warmer waters as air and water temperatures drop. When the weather is cold, a majority of manatees can be found gathering in the warm water outflows of Florida Power & Light’s Eco-Discovery Center, Manatee Lagoon. Manatees are considered one of Florida’s most important marine species whose behavior can alert researchers to the environment and habitat changes that may otherwise go unnoticed in Florida’s waterways.